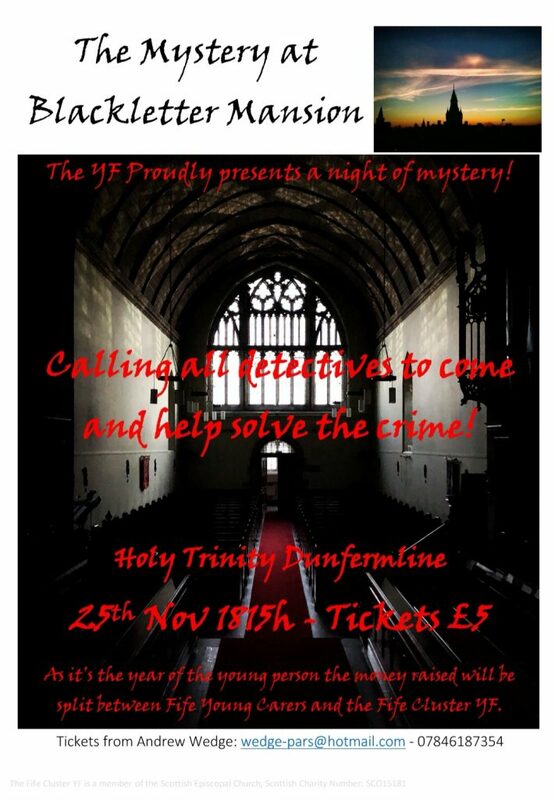 This Sunday 25th at 1815h the Youth Fellowship Is hosting a night of mystery! Our valued Youth Fellowship have been practing to play a range of characters, one on whom has commited a murder. All you have to do is come and join the audience to help the useless Police Officer work out who is responsible. Tickets are still available through Andrew Wedge one of our youth leaders priced at £5. The money will be split between the YF and in this year of the young person raise funds for Fife Young Carers. It’s a great family night to relax and be entertained with a small part of audience participation. We hope to see you there and bring a friend to this great social occasion!